The Liberty Shopping Centre in Romford is set to support Ageless Teenagers in a bid to receive £50,000 of funding from The National Lottery through The People’s Project. On Thursday, 4th April, Ageless Teenagers joined with Little Market after school club to engage in an intergenerational exchange of experiences. Ageless Teenagers is a community group created and run by the UK’s first Gladiators winner, Weininger Irwin who has been running inclusive events at The Liberty for the past decade. 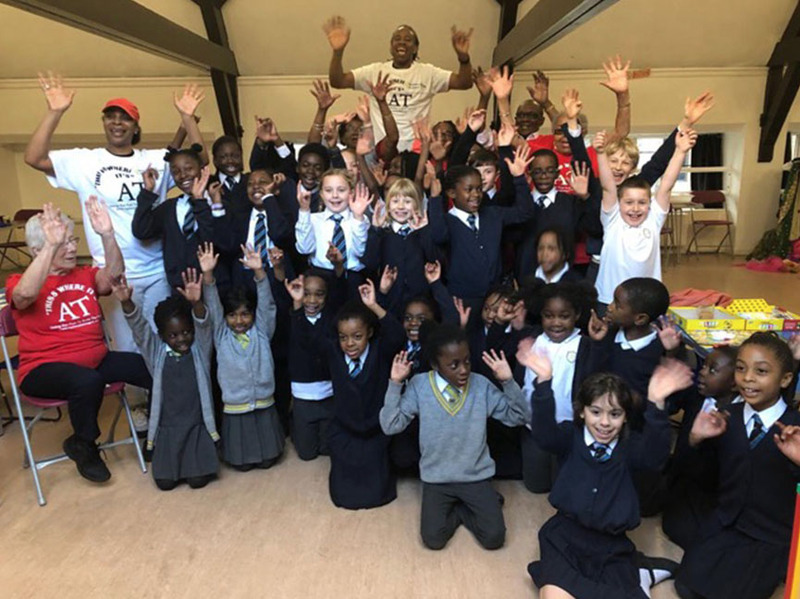 The project welcomes residents of all backgrounds from Havering, Barking & Dagenham and Redbridge to regular social activities and aims to engage, celebrate and inspire members through activities such as musical exercise, meals and socialising. Weininger Irwin, Creator of Ageless Teenagers, said: “Ageless Teenagers is for people of all ages but mainly focusing on the senior and elderly community. The group, which started as a celebration of the Windrush Generation enjoying ‘a taste of the Caribbean’ for everyone to enjoy, began with 28 attendees and has now grown to over 300 residents from a variety of London boroughs and beyond. It is now so much more and creates an afternoon for seniors to enjoy the mix of fun, love and energy. Receiving funding from The People’s Project will allow us to continue this work and provide even more community building events. CLICK HERE to vote for Ageless Teenagers.